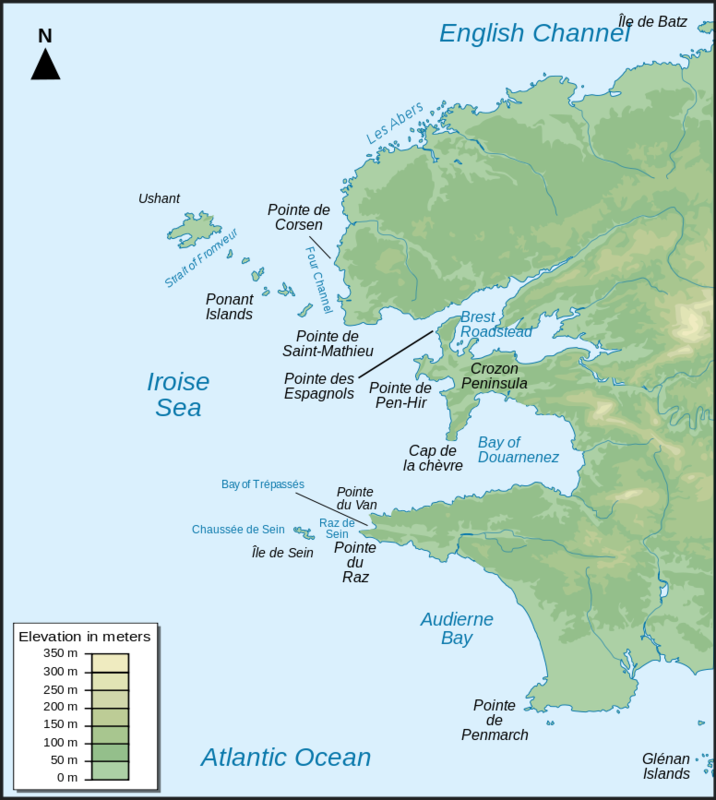 Iroise or the Iroise Sea is the part of the Atlantic Ocean which stretches from the Ile de Sein to Ushant off the coast of Brittany in north-western France. 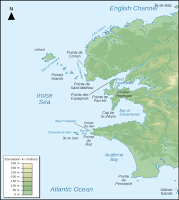 It borders the Celtic Sea to the north and west and the Bay of Biscay to the south. 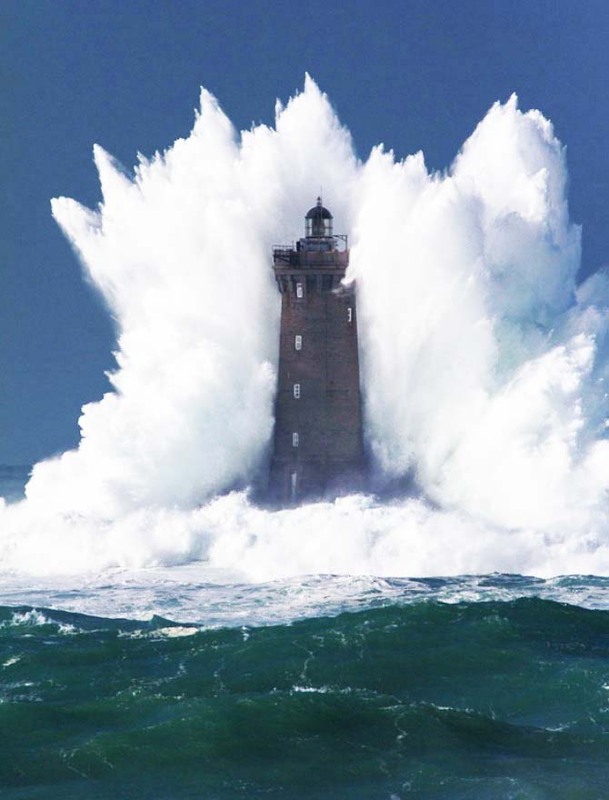 It is one of the most dangerous seas in Europe. In winter, there are often violent storms with huge waves.